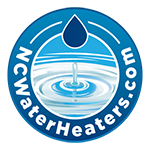 The number of times the average Raleigh Durham area resident thinks about their water heater every year can likely be counted on one hand. Water heaters do not require a lot of upkeep, so as long as they are doing their job, and the water stays hot, they are out of sight and out of mind. Over many years, water heaters begin to corrode and a leak will eventually form. The high degree of pressure within the tank will take this small leak and turn it into a possible nightmare scenario for you. Hundreds of gallons of water can flow into a home causing thousands of dollars of damage before the resident can notice and shut the water off. It doesn’t have to be because of a vacation. Even just during a night’s sleep or a day working at the office leaves plenty of time for catastrophic damage. The problem happens to have an easy solution, though. A device called a ‘flood stop’ can be installed quickly to reduce or eliminate potential water damage. The flood stop is set up to react to rising water in the water heater pan by immediately shutting off incoming water to the water heater. The water heater pan, placed beneath the water heater, will collect any overflow water, and when it reaches a level beyond usual, the flood stop reacts. Water is shut off only to the water heater. Other parts of the house will maintain their ability to use water. Flood stops can be installed on other appliances and even on the main water supply, but installation will vary based on a number of factors. Not only do flood stops shut off the water source to the water heater, but they are able to alert the resident in a number of ways. An alarm similar to a smoke detector can be set to go off when the flood stop detects a leak and shuts off the water. Some models can also be linked to smart devices that notify a person remotely if they are off-site. The leak should be minimized or contained if the shut-off mechanism worked properly, but it is still important to be aware that the problem occurred. The water contained in the tank of a water heater can still leak and spill out over the water heater pan even though the incoming water to the heater is stopped once the alarm has triggered. This allows the homeowner or resident to look for damage from the leak. 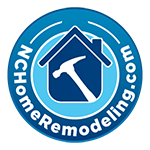 Because installation will vary based on the water heater and size of the pipes, among other factors, having a professional installation can be vital to making the flood stop worth the time and money. It would be a shame to go through the trouble of having one installed only to find that a small error in installation caused it to malfunction in the moment it was needed. 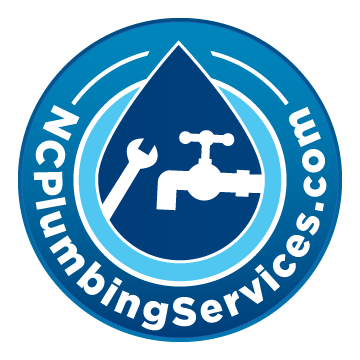 NC Water Heaters is an experienced local Triangle plumbing service that installs flood stops for its customers in Raleigh, Durham, Chapel Hill, Wake Forest, Cary, Garner, Clayton, Apex, Fuquay-Varina, Holly Springs and beyond, including the counties of Wake, Harnett, and Johnston. Call us today for more information at 919.868.3585. No Replies to "How Flood Stops Can Prevent Water Heater Leaks"